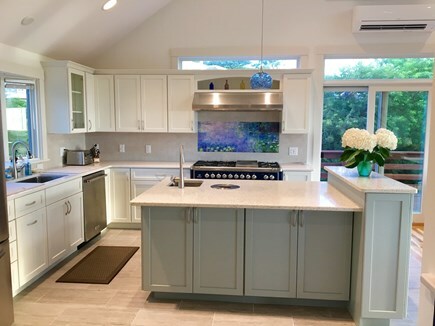 Newly Renovated House in Exclusive Nauset Heights Neighborhood. Lower level garden view bedroom. Great for kids. Only two summer weeks left: August 17 - 24 and August 24 - 31. Full house is newly renovated. Truly unbeatable location. 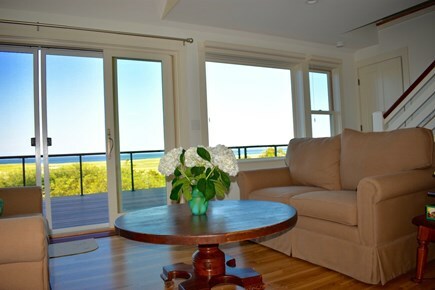 Luxurious comfort and high end amenities meets classic Cape Cod charm. Weddings and special event rental available for additional charge. The house is completely renovated (summer 2018) and has stunning views throughout. Main level: Wrap around deck with sunrise views. Perfect for meals, cocktails, and relaxation. Occasionally you can see whales and seals from the deck. Mahogancy pic no table and BBQ grill on deck. Perfect for evening wine and oysters. 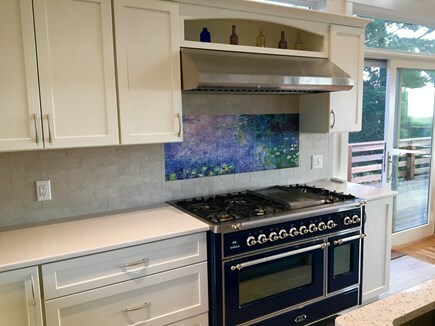 Kitchen: Brand new fully remodeled kitchen with luxury appliances and Italian stove. Beverage bar, filtered water, deck access and ocean views throughout. Master Bedroom: Queen bed and walk in closet with attached bathroom. Floor to ceiling windows, sliding doors with deck access and beautiful natural light. Watch the sunrise from your bed. Truly stunning ocean views. Very peaceful and romantic. Corner Bedroom: King bed that can split into two extra long twin beds. Ocean view and garden view with plenty of windows and light. 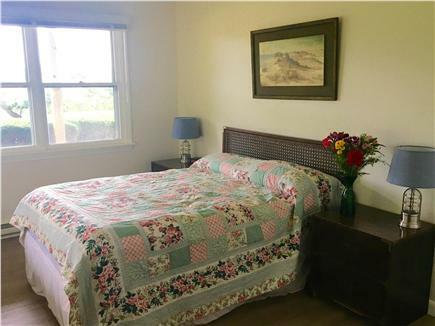 It is quite spacious with a large closet and dresser. 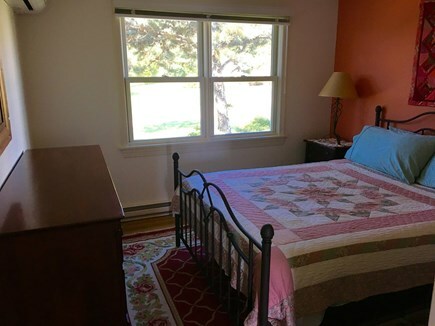 Garden View Bedroom: Queen Bed with large closet and dresser. Windows facing the garden. Lower level: The lower level of the house has two bedrooms and one bathroom with a full tub. It has an additional kitchen with full refrigerator. It also has an additional living room with a pull out sofa bed. It has direct sliding door access to private patio and outdoor shower and yard. 6 people can sleep downstairs. Many people enjoy having kids stay downstairs and use downstairs living room as a kids playroom. Extra kitchen and fridge is great for storing drinks and bulk food items. 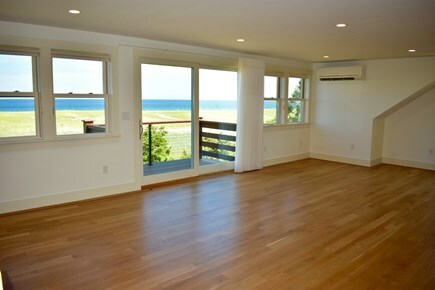 Upper level: Newly built great room and yoga studio with ocean view private terrace and sliding doors. Luxurious heated soaking tub with champagne bubbles and ocean views. Parking for 5 cars in driveway. The exclusive Nauset Heights neighborhood is beautifully preserved and provides a very luxurious and relaxing natural environment. There is easy access to world class beaches, calm bays, lakes, boating, fine dining, boutique shopping, evening entertainment and activities for all ages. 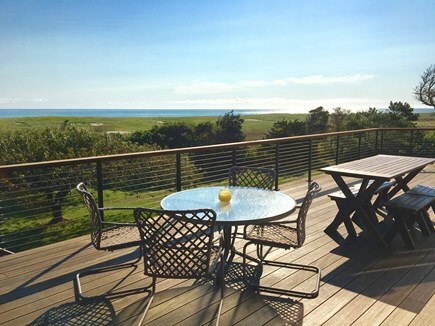 I can't imagine a better location for a Cape Cod vacation. 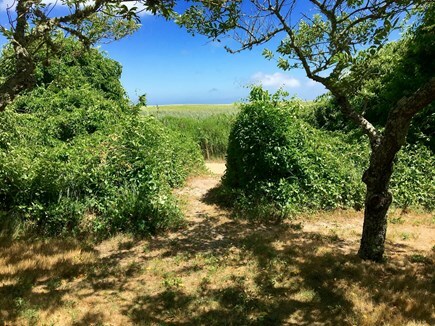 Walk out the back door and you're on a path through the dunes to Nauset Beach. And given the distance from public parking, the beach feels like it's private. Our kids had a blast boogie-boarding within view of the house and took super-fun surfing lessons with Nauset Surf School (a ten-minute walk or two-minute drive away). The open floor plan and big kitchen made for very relaxed entertaining and gave everyone space to spread out on our two rainy days. It's worth noting that we had some of the best sleep of our lives here. The location at the end of a private road was very quiet--no loud neighbors and zero street traffic. I fell asleep listening to the gentle, distant, sound of waves. There's a high-end "farm-stand" that sells everything from wine to seafood and steaks just three minutes up the road, so you don't have to drive "into town" unless you want to. We boiled lobsters in the big kitchen and grilled steaks out on the huge deck overlooking the ocean. And if you head two minutes in the other direction, you can drive onto the beach in a properly permitted vehicle (see Town Hall) and roast marshmallows at night. The kids thought that was really cool. And lastly, both the owner and her daughter (who helps manage the home) were delightful. We're already planning our return visit. I have been to Cape Cod many times but this holiday was far and away my favorite. This house is truly a gem and I loved the location. When we arrived we could not believe it. Photos really did not do it justice.... Last house on a private road with expansive ocean views and easy beach access. Just hanging out at the house was sublime and relaxing. 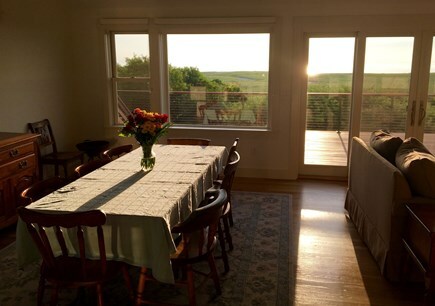 So many windows, huge deck, post card views, sunrise and the sound of the waves. The house is great for large groups as it has two kitchens and two living rooms, one on either level. 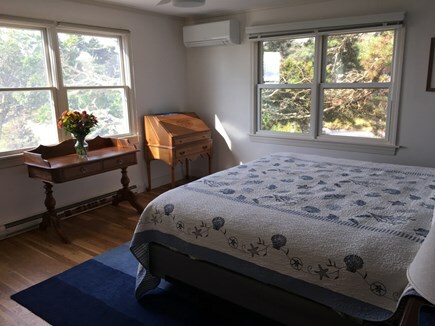 I enjoyed my quiet morning walks around the Nauset Heights neighborhood and loved reading out on the porch and exploring art galleries in town and eating at some of the local restaurants. Nauset Beach Club was my favorite. The kids loved Zia’s Pizza and Sundae School ice cream parlor in the evening - all 5 minutes from the house. Beach lovers in our group had fun building sand castles, playing frisbee and boogie boarding on the beach in front of the house. One evening we all watched the sunset at Rock Harbor. Beautiful! I stayed here with my family last August and we were absolutely in LOVE with this amazing house and its location. It is truly an unbeatable place for a family gathering. We were all able to walk to the beach as we pleased and return home for lunch and snacks. The deck was fabulous for meals, reading, hanging out and evening cocktails. The kids loved the huge grassy yard and they were able to run around freely. We enjoyed very close local outings to Skaket Beach, Pilgrim Lake, Rock Harbor and the Bike Path. So many wonderful restaurants are close by so we ate out a few times but the house was so nice we actually preferred staying at home to eat and enjoy the peace and the breathtaking ocean views. 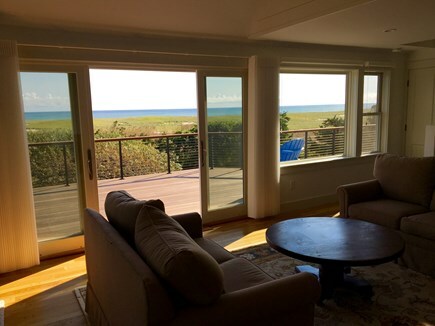 Floor to ceiling windows, sound of the waves and birds, zero traffic noise… yes please. The beach in front of the house is one of the best on Cape Cod and the kids loved boogie boarding and playing beach games. I loved the long beach walks on the sand flats at low tide. It is a peaceful beach without many tourists. Mainly just local Nauset Heights residents . I came here with 7 girlfriends (8 total) for a girls get away weekend and it was perfect. We could walk to the beach, shopped at the boutiques in town and had dinner at Rock Harbor Grill. The house is huge and everyone had a bed. Hanging out the deck was picture perfect. It truly is a spectacular location. It would also be great for 2 families given the set up (full apartment on lower level). My family, husband and I rented this incredible property so we could have our wedding here. The yard is incredibly spacious, well kept and has a majestic little trail that leads to the dunes, up and over to the beach, so it was everything we hoped for. I can't put into words how special it was to get married here. We held our ceremony on the beach, followed by celebration and dancing in the yard as the moon was rising over the ocean. It was perfect. The home itself is very comfortable, clean, bright and beautiful. There are multiple bathrooms and an awesome outdoor shower, perfect to host a big group. All the bedrooms are spacious, with comfy beds. The neighborhood is quiet and peaceful. We met a few of the neighbors who were all very nice, friendly and excited for us to be getting married in the yard! Heather and her mom Mrs. Eleanor were wonderful hosts and communication was prompt and clear. We have all walked away so utterly in love with the house and the land that we hope to return next summer and the next and the next. We highly recommend the Nauset Pines. We thoroughly enjoyed our stay here... In fact, this house/location has finally convinced this Maine coast woman that Cape Cod is a true delight. 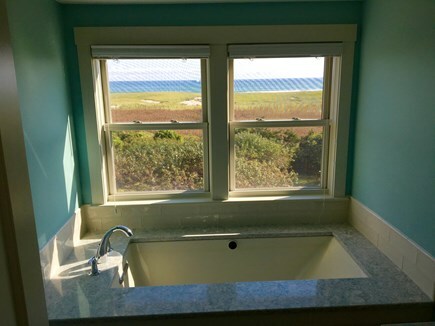 The beach: It is the last house on the private beach road, giving renters direct and easy access to a pristine stretch of Nauset Beach, which you access by a stroll past the rolling dunes. The house: the indoor layout gives plenty of space to hang out as a family and unfettered access to the outdoors with a wraparound deck and sliding doors on all sides. Bedrooms are spacious, and nicely separated from the more public spaces in the house. As an added bonus, the house is a delight for vintage mid-century fans: it has gorgeous mid-century wall coverings, and the mid-century styling, details and quality of construction throughout give this home away from home a special flair. A fireplace gives a cozy place to gather on cooler summer nights, or just a spot to toast marshmallows! Outside: the yard is a sweet place for kids to play while you are getting dinner together! Sitting on the deck you can see the ocean, hear the waves and just soak up the sun. It is a truly special spot. This place is perfect. 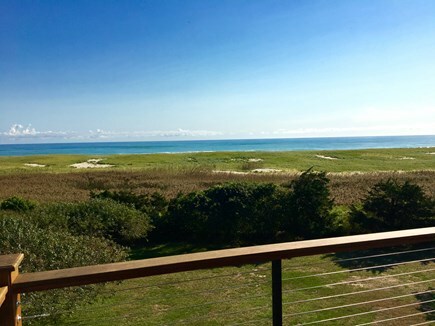 A great ocean view and a quick walk to Nauset Beach. More than enough space to comfortably accommodate a large family. Close to Crystal Lake, a variety of restaurants, and some of the best ice cream shops on the Cape. Need I say more? A most wonderful getaway spot! 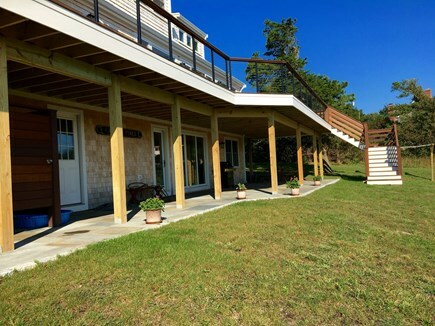 We had a fabulous time at this Nauset Beach house! Put it this way: when I was on the way there and told a local where I would be staying, he said wow, you needn't bother going anywhere else on the Cape! The house is so quiet and peaceful and we enjoyed spending a lot of time on the deck. We had a group of friends over one evening for a cocktail party out on the deck. The adults loved the stunning views and the kids had a blast playing in the large yards surrounding the house. 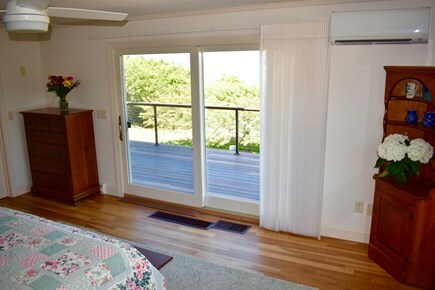 The master bedroom is very impressive; sunny light and bright with gorgeous ocean views and sliding doors onto the deck. 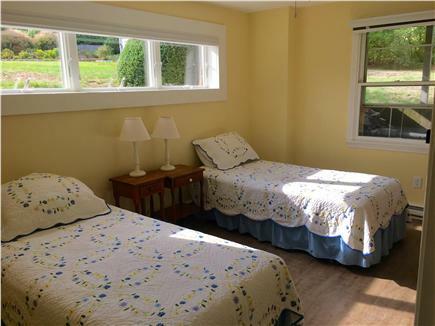 All the other bedrooms are lovely and have plenty of windows, comfy beds, and lots of closet space. Heather was a great host and she directed us to her favorite local restaurants including Liam's on the beach, Joe's Bar and Grille, Abba, and of course Sundae School for evening ice cream. Also, where to go to get awesome lobster and oysters to bring back to the house. 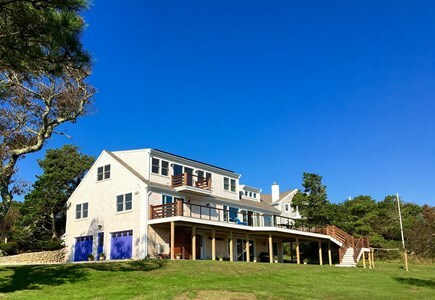 I absolutely love Cape Cod and love this house and its fantastic location! I grew up spending summers in this house as it was my grandparents and is now owned by my mother. I manage it for her. 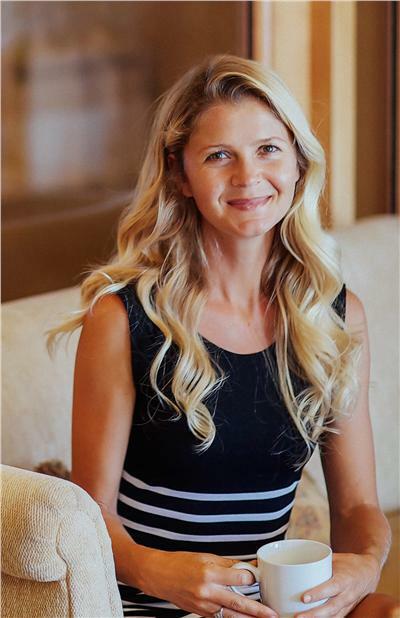 I am a massage therapist, yoga teacher and holistic wellness coach and I love outdoor adventures, nature and healthy living. I also love world travel and have spent the past two winters in Bali. Managing this property has allowed me to host and meet people from all over the world. I have hosted families from France, New Zealand, Canada, California and Colorado to name a few. 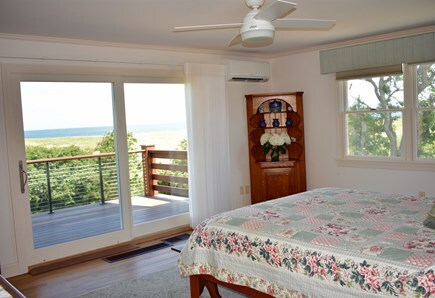 I am passionate about travel and eco-tourism and truly pride myself in allowing guests to have a wonderful holiday at our Cape Cod Beach Retreat. Enjoy! You Deserve it! 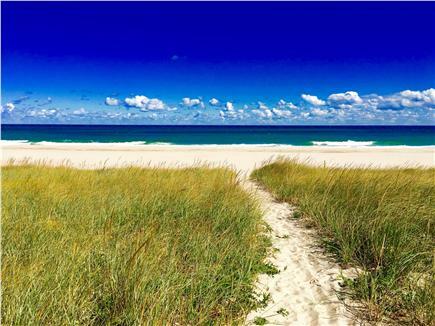 In the 1960's my grandparents, both lawyers in Philadelphia, bought this plot of land and designed their dream retirement home right here on Nauset Beach. Their friends thought they were crazy for choosing such a remote piece of land. However, as soon as the house was built everyone wanted to visit and rent it out for the summer. For decades my grandparents lived here and rented out the downstairs to colleagues and friends. When it wasn't rented the house was always full of children, grand children, family and friends. My parents, aunts, uncles, cousins, sisters and I have all spent college summers living here. Body surfing and enjoying Nauset Beach, biking around Orleans, swimming in the warm lakes, evening trips to town for ice cream on rock harbor sunsets. We all love the relaxed lifestyle of waking up to the sunrise over the ocean each morning and sleeping to the sound of the waves. It is truly a magical place in an unbeatable location. Orleans is a quaint Cape Cod town steeped in history and charm. 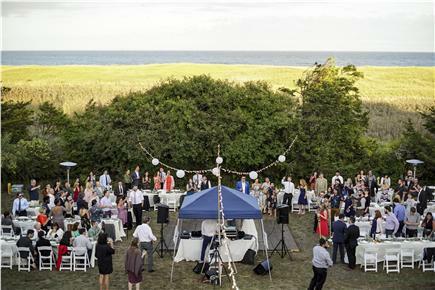 It is known as the hub of the Lower Cape due to its fabulous restaurants, boutique shops, live theater and the world famous Nauset Beach. Liam's Clam Shack is directly on the beach, an easy walk from the house. On summer nights they often host free sunset concerts. East Orleans is home to Nauset Farms, Sundae School Ice Cream, Zia's Pizza, Joe's Bar and Grille and The Nauset Beach Club Restaurant as well as several delis and boutique shops. Main Street Orleans has yoga, coffee shops, a whole food store and many boutique shops and restaurants with fabulous seafood. The exclusive Nauset Heights neighborhood is beautifully preserved and provides a very tranquil natural environment. There is easy access to excellent bike paths, surf beaches, calm bays, many lakes, boating, fine dining, boutique shopping, evening entertainment and activities for all ages.